I did not see this series playing out the way it did. I mean, look at the 8th-seeded ’92-’93 Pittsburgh Penguins lineup. Anyway, the 25th-seeded ’09-’10 San Jose Sharks pulled it off and they’re on to the Third Round. The offense for the Penguins didn’t show up and they took too many penalties that resulted in an edge in special teams towards the Sharks. Only Mario Lemieux and Kevin Stevens averaged at least a point per game during this series. Both of them finished with seven points to tie for the team lead. Ron Francis was tied with defenseman Larry Murphy for second in overall scoring with five points each. Jaromir Jagr led Pittsburgh in goal-scoring with four goals over the course of the six games. Stevens was alone in second with three goals. All seven of Super Mario’s points were assists so he also was Pittsburgh’s top playmaker. Stevens was also second in assists with four. One interesting little stat was that Murphy totaled 22 penalties in minutes during the series, but almost all of that came from two separate 10-minute misconducts he received for arguing with officials. Goaltender Tom Barrasso had a sub-par series. He posted a 2-4-0 record with a 3.83 goals against average and a .903 save percentage. It was the usual suspects that lead the way offensively for San Jose. Joe Thornton posted a series and team-high 11 points while Patrick Marleau was a close second with 10. Three other players averaged at least a point per game for the Sharks, Dany Heatley, Ryane Clowe and defenseman Dan Boyle. Marleau led them in goal-scoring with six while Heatley was right behind him with five goals. Thornton was far and away the team’s top playmaker with nine helpers while Boyle was a relatively distant second with five assists. The biggest star for San Jose was their netminder though. Evgeni Nabokov went 4-2-0 with a 2.83 goals against average and a .925 save percentage while closing off the series with his first shutout of the tournament, a 35-save performance in the series-deciding 3-0 win in Game 6. The ’09-’10 Sharks are back again in the Ultimate NHL Playoff. They are in their third UNP and have now advanced to the Third Round for the second straight tournament. Waiting for them in the Third Round are the 24th-seeded ’84-’85 Washington Capitals, who upset the 9th-seeded ’81-’82 New York Islanders in six games earlier in the Second Round. The ’92-’93 Penguins are the third different team to represent the Steel City in the UNP and the franchise has not had any success so far. The franchise has not won a series in UNP play having been eliminated in the Second Round in each tournament. Up next in the Second Round, the 15th-seeded ’95-’96 Colorado Avalanche face off against the 18th-seeded ’14-’15 Tampa Bay Lightning! 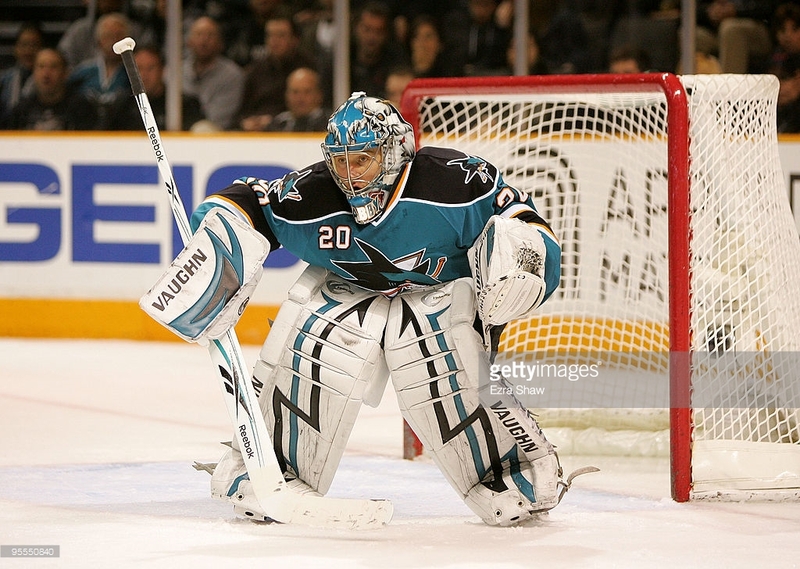 This entry was posted in 2nd Round, Ultimate NHL Playoff and tagged Dan Boyle, Dany Heatley, Devin Setoguchi, Evgeni Nabokov, Jaromir Jagr, Joe Thornton, Kevin Stevens, Larry Murphy, Mario Lemieux, Patrick Marleau, Pittsburgh Penguins, Ron Francis, Ryane Clowe, San Jose Sharks, Second Round, Shawn McEachern, Tom Barrasso, Ultimate NHL Playoff. Bookmark the permalink.